With PrivateContent you can restrict any element of your site, but what about files link? With Secure Links add-on you can fulfill also this need! Just to copy any link and choose who will be able to access or get it. In a couple of seconds you will have a compact, anonymous and secure link to use everywhere in your website. It doesn’t just redirect to files but manage physical data wityh a smart system: streams automatically the images, while forces the download of the other file extensions. Original link won’t be revealed or shown anywhere! Care about files security, set precisely who can access files or know links. Choose between any user, one category or also restrict for a single user! Each link has also got a click counter to track how many times it has been used by logged users. 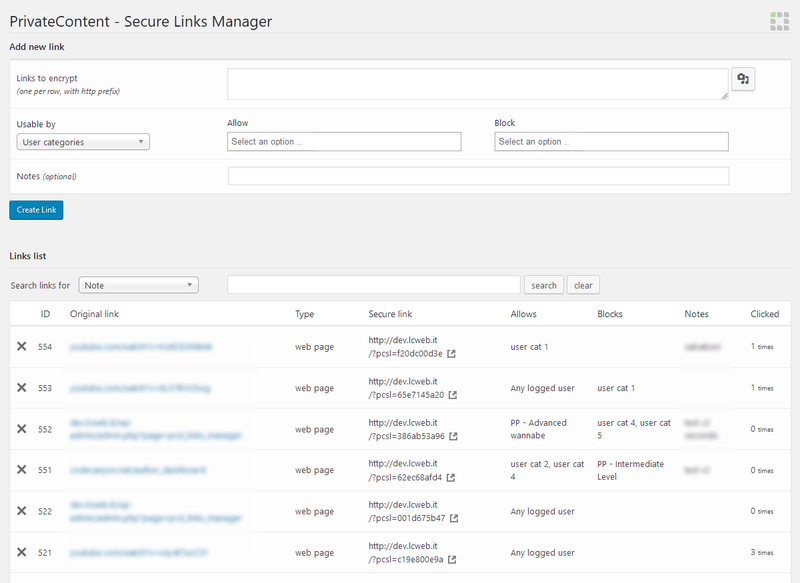 Fastly find your secured links using the powerful, built-in, search engine. Even having hundreds of links will never be a problem! Finally, to use secured links in your pages (posts, private pages or any custom post type) is easy as click a button. 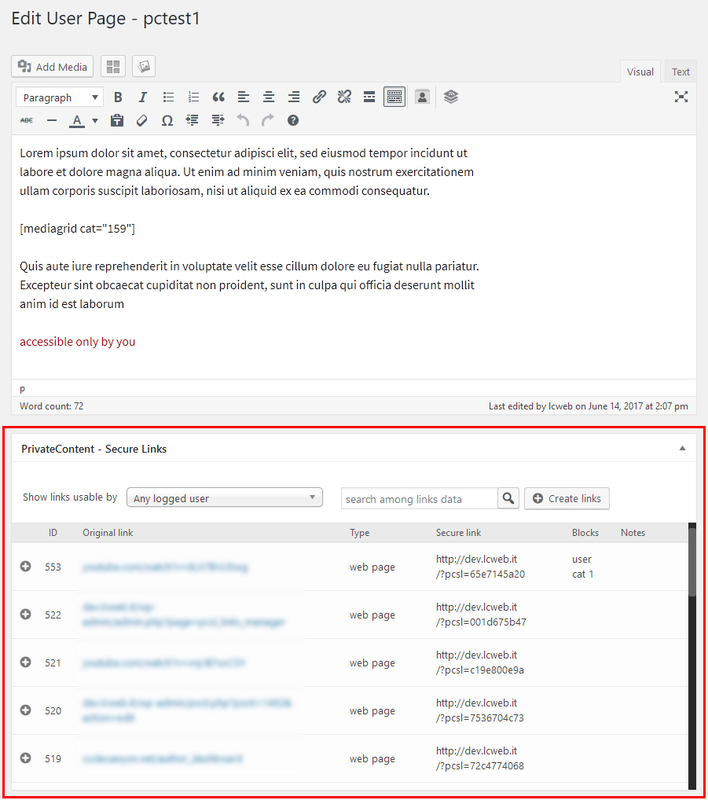 The add-on adds a metabox under WP editor with links list, already filtered by category. Please note that plugin can only create a crypted link but not block the original direct link. However by default WP files are not indexed, then unless you share original links, they won’t be known.